There is no better way to experience camping in the wilderness than to be perched in a fort above the elements with windows and views of nature above the ground. Rooftop tent (RTT) camping is an entirely new, exciting and fun way to camp. We’re excited to welcome you to the wonderful world of RTT Camping, and we hope you read on to learn what you should know to make an informed decision on rooftop tents. We’ll help you make sense of all the features, options and capabilities you should be aware of in planning your purchase and finding a tent that fits your mission. What do you need to install an RTT? It’s widely rumored that the Rooftop Tent concept started in Australia. 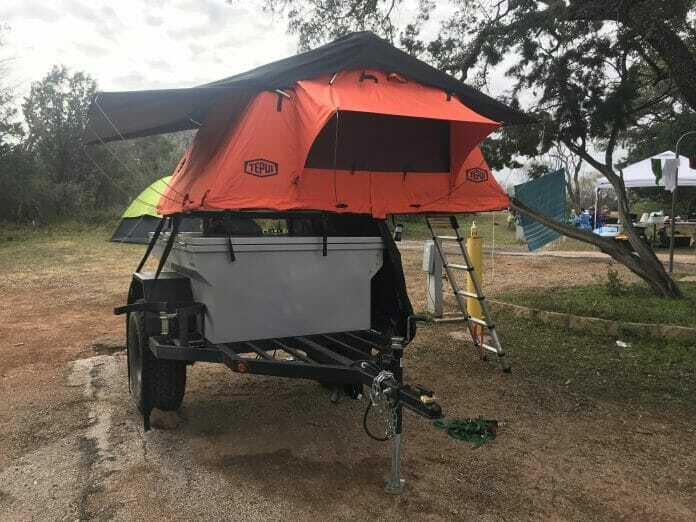 With bugs as big as big as some of our family pets it seems all the wiser that these amazing tents were championed down under as a means to keep people safe and sound above all the critters and creatures of the outback. RTT’s are tents that are aptly named “rooftop tents” because they get installed on your rooftop. They connect to the cross beams of your vehicle or trailer. 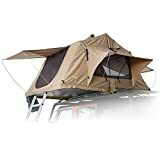 They offer a more pleasant camping experience being that they’re quick to deploy, up off the ground and usually built to handle the weather better. RTT’s come in all sorts of shapes and sizes but the common groupings are a soft shell (fabric) and hard shell (some polymer or fiberglass) and variations of sizing & capacity therein. 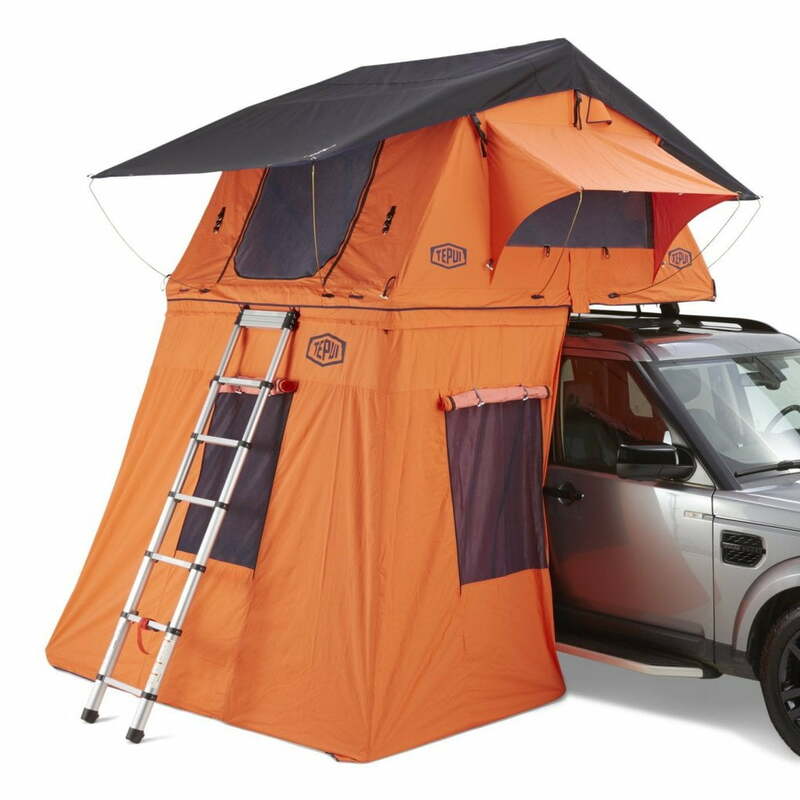 Hard shell Roof top tents are usually a pop-up or clam shell type tents. As the name implies, they have a hard shell – usually a clamshell hard & soft top design with fabric sides. These types of tents are excellent for 1-2 person camping with usually very quick setup times. Hardshell RTTs offer very good protection from the elements, quick setup times and simple setup. Some hard shell tents even offer storage capability and utility space while on your roof. 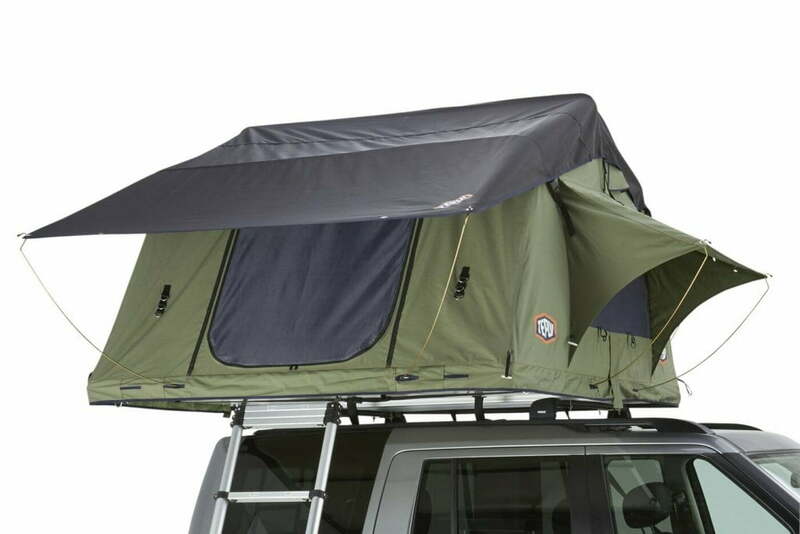 Soft shell roof top tents are the most common rooftop tents and usually the most affordable. Soft shell rooftop tents can be sized anywhere from one to four + people and are built of heavy-duty fabrics, poles and attachment pieces. In the industry, there are two major types of softshell tents – the ones where the ladder is at the very front, and you climb up through a door or ones where the ladder is under the tent, and you climb up under the tent through a bottom entrance. I have no real preference here other than the two styles tend to lead to design choices for aesthetic purposes and some features. For example, if you plan on having a vestibule setup and want space below your tent, then the style where the ladder is in the bottom means the ladder will be covered by the vestibule however front entries usually will be open to the elements. I liked front entry because the views when the doors are open are fantastic and I love their simplicity & design. The bottom entry units can be larger. 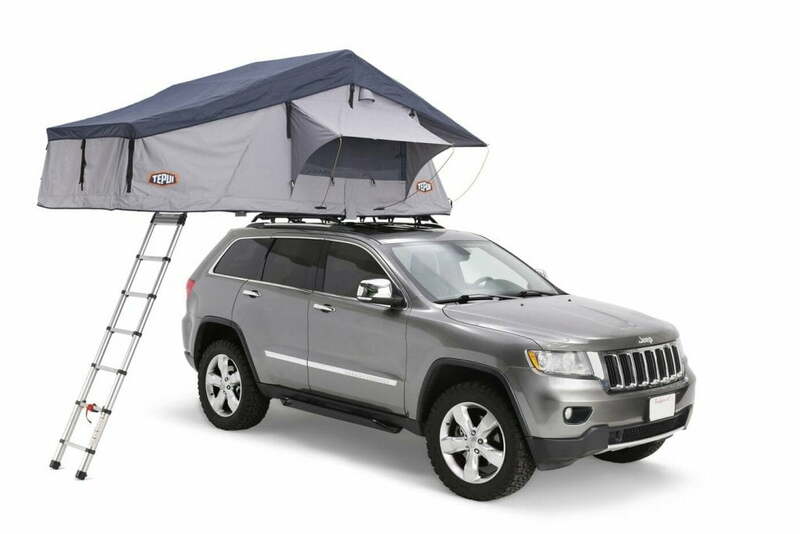 When shopping for a rooftop tent, there are a few things you should look for. Beyond the design/appearance and looks that you strive for you should make sure that the tent will perform, last and when the inevitable wear outs and breakdowns happen that you can get parts and service for your gear. What is your mission? Are you camping for two? Camping for a family? Going off roading? Overlanding? Weekend getaways a few days a year or spending weeks on the road in four season weather? Think about your mission and then understand tent designs, quality and performance features needed to exceed your mission goals. The general build quality of deck, poles, platform, and shell. Will it hold up to your mission? Will it be durable? Is it flimsy? Known problems? Just like any camping gear – you often get what you pay for. I look for wrapped poles – if the tent company can engineer a rooftop tent that collapses, has wrapped poles and made of good materials then I know they put the effort in to think not just of RTT design but usability. You also want a good strong base – it is, after all, folding up and holding you up above the car/trailer and giving you a rigid above-ground platform to sleep on. Not only should it be durable for this purpose but also durable on the bottom to withstand debris and water. My tent is on an expedition trailer that will be dragged around on old mining trails and off road useable so I opted for an extra durable build with diamond plating since trees/dirt/rocks may be flying up or brushing by. This is probably your second most important decision when choosing an RTT brand to go with – What is the quality of the fabrics and components but fabrics being topmost. You want durable fabrics, heavy weave, and good protection. You want fabrics that will not only withstand weather, temperatures, humidity, and rain but also will withstand the force of being packed and stored and being zippered away. Speaking of packing away, no matter which tent you buy or use, always be sure to let it dry out completely before any long term storage. You don’t want any mold or mildew buildup on your tent ruining your fabrics and shortening the lifespan of your investment. Ask your potential RTT vendor how long they have been around, whether or not they still sell spares and parts of tents that are discontinued. The last thing you want to do is buy a tent from a company that won’t make parts once they move on to newer or designs or styles. You’re investing a lot of money for a product that should last for many years to come. Name brands like Tepui and CVT are known to support their products and offer good warranties as well. I love the roof skylights on my Tepui, and it was a reason I chose one brand over another. Choose a color you like, choose the layout you prefer and shop around for the features you want. Do you like both ends of your tent to open to have a portal view of the wilderness? Do you like removing the rainfly and watching the stars while laying on a comfy mattress protected from the elements through roof skylights/windows? These features vary between tents and manufacture and while they don’t necessarily modify the tents capability they are great features I enjoy so be aware of the slight difference, features, and characteristics of the brands and products available. Moisture in any tent is always a problem regardless of being a rooftop tent or on the ground but In RTT’s moisture can be excessive and it’s wise to invest in a moisture pad/barrier to help keep your mattress pad and sleeping above any moisture that does wick through your tent. Most manufacturers include moisture barriers in their high-end models, but almost all of them will let you purchase them separately. I would advise investing in one to make sure your tent is comfy and dry. To help keep moisture down in my tent, I invested in an easy to use de-humidifier that I can plugin to dry-out and re-use. It doesn’t require any electricity while in the tent, and so far it has helped keep the humidity/moisture down in my tent. As an addendum to size, I like to remind people that a lot of tents may let you leave sleeping bags/blankets/pillows or mattress pads inside the tent while collapsed down. 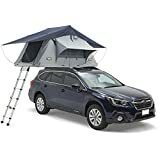 This is a nice time & space saver so if you’re shopping around you may want to ask if the tent can collapse down with some sleeping essentials inside. Not every brand can do this, but some have the room and extra space when collapsed that the cover can cover them without too much stress. Add a room below your tent. Annex Rooms are offered by many of the RTT manufacturers and can provide much-needed living space, privacy, and rooms below your tent taking advantage of the covered space below. These are great for eating areas, extra sleeping space (kids! ), pets, storage, shower/cleanup/privacy area. 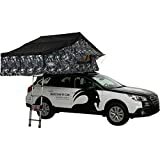 Awnings aren’t necessarily part of the rooftop tent design, but many companies offer awning accessories that complement rooftop tents. These usually provide great coverage and ease of setup & removal just like a tent, and some even offer up to 190 degrees of coverage. 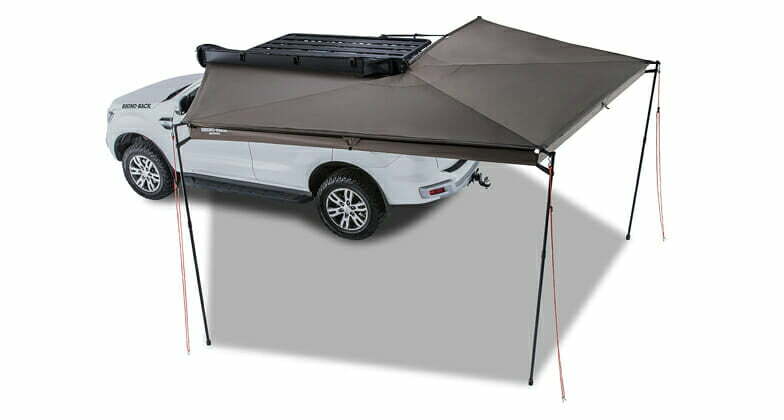 The 240 degree ones are great for having a left/right awning that covers your vehicle tailgate making them great for shade and vehicle access in inclement weather! There are an infinite amount of accessories for your tent, but the common ones that we would recommend are shoe bags, lanterns, and lighting. Most tents come with plenty of internal pockets but we’ve learned its best to have a shoe bag or duffel type bag that can hang out by the front door, so you can easily take your shoes/flip flops on and off while climbing in and out to minimize dirt inside the tent. Cool lanterns that can hang from the inside mounting brackets or bars are nice, and we love some of the rope lights that can be used to light up inside the tent. If you’re looking for an awesome Lithium-Ion Portable Power bank, check out our review of the RockPals 300w Portable Power system. This little device works great to provide power off the grid while your out camping in your rooftop tent! A roof rack is needed, and it has to meet your tents rating weight and size. There are multiple ratings when choosing roof racks and its extremely important you know and understand these ratings. Dynamic Weight Rating – This is the maximum rating of weight that can be on your vehicle while the vehicle is in motion. Your roof rack company (such as Yakima / Thule) or your Car manufacturer should have this rating in the vehicle sizing guide. Static Weight Rating – This is the maximum weight rating of the entire system on your vehicle. For many installations, the average max dynamic rating is usually around 160 lbs. This means that your tent while collapsed and on the road should not weigh more than 160lbs – Including all the hardware and attachments on the rack system. For static weight rating, you don’t want to exceed the rating of the system while the tent is open, setup and with people in it. So if you plan on having two adults and two children in a four-person tent, its imperative that your static weight rating is strong enough to support the 150 lbs of the tent, 30-40 lbs of gear (mats/bags/clothing/shoes/lights) and the weight of four people in the tent. I chose trailer mount because my Jeep with a hard top or soft top doesn’t have manufacture set static weight rating and I didn’t want to install an exterior cage system for the tent. 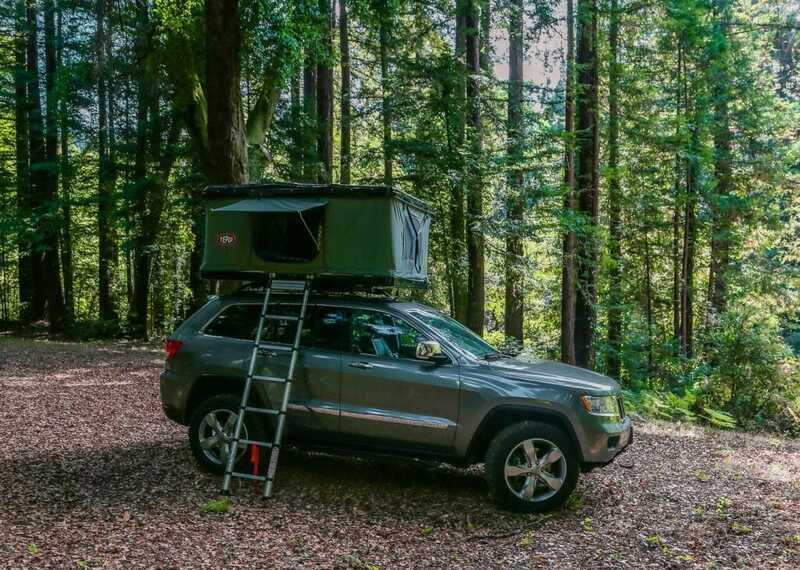 Keep in mind that if you do have a Jeep or a truck with a bed cover that a lot of these vehicles don’t have a static weight rating for a rack system on these plastic/polymer roofs and you may have to fabricate, build or buy support systems to safely transport and use your tent. Always follow the manufacturer recommendations and never exceed the weight or balance of your vehicle. You have two essential choices that come with purchasing an RTT – Do you install it on your vehicle or do you mount it on a trailer. When you install on your vehicle, you have to remember that any time you drive, you have to close up the tent. This process can take anywhere from 2-3 minutes to 15-20 minutes depending on the setup you have. If you have an annex room, awning, and a vast 4+ person tent, it will take you a while to setup and teardown the RTT, and you will want to keep this in mind for how you choose to carry your RTT. If you install on a trailer, then you can secure and leave the trailer set up as a basecamp. This is what we chose to do with our Tepui Roof Top Tent. 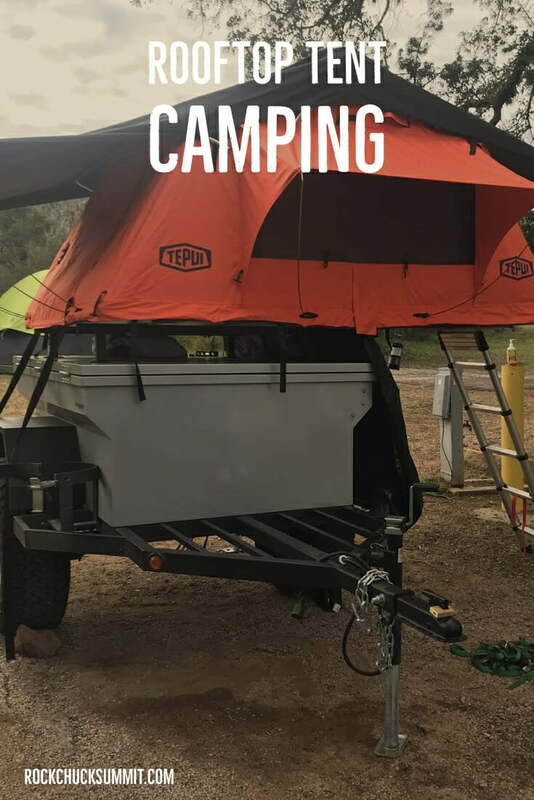 I have it installed on an expedition trailer that not only carries the RTT but all of our gear and allows me to drive off with the Jeep and have a base camp. 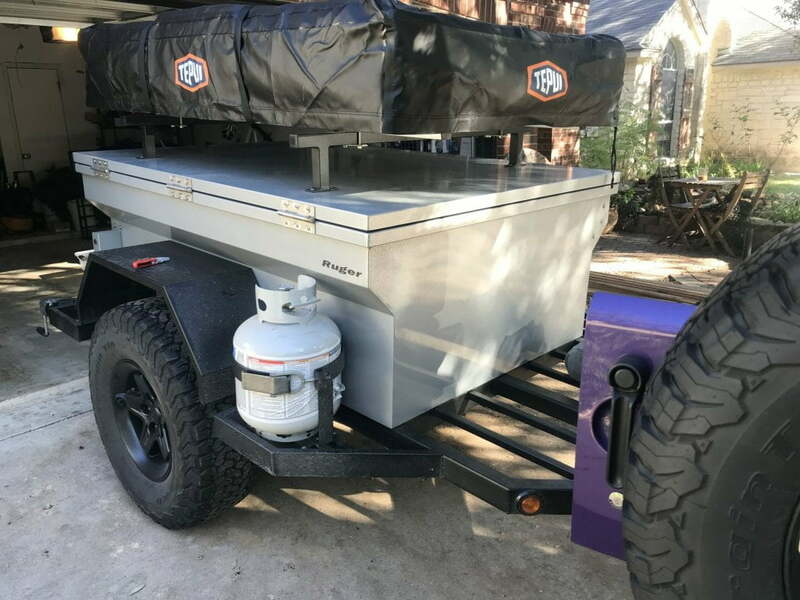 With the expedition trailer setup, I can carry hundreds of lbs of gear inside the trailer and coolers on the tongue and keep my Jeep mostly free for the family and enjoying excursions. Previous to the trailer I had a roof top carrier and the vehicle packed to the brim, so I’ve enjoyed having much more space and a base camp style setup. Regardless of trailer or roof install, its common for people to call this type of camping “overlanding.” With overlanding people build up pretty impressive off road rigs capable of trail driving and off the beaten path camping. Overland/Expedition vehicles & camping is almost universally exchangeable to describe these setups and trailer systems. RTT’s can be heavy and awkward to ship – most companies will need to ship freight, and sometimes this can be another 200 to 300 dollars on top of your price – especially if they’re delivering residential. Some brands figure this into their base price if they specialize in internet sales, some brands ship through Amazon and offer amazon prime free shipping (yeah!!!) 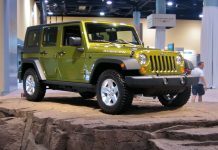 while others will focus on established retail channels such as your local sporting goods, off road, camping or truck specialty shops. If you can buy local, I always say buy local – local warranty is a beautiful thing to have (who wants to ship back and forth something that may cost you 600 bucks!!!) otherwise if you order online Amazon is hard to beat if you don’t go vendor direct. Hopefully, we’ve given you some information to digest and enough knowledge to help you shop and select your new Rooftop tent! We love ours, and we agree that these tents are “game changers.” Every time we’re out camping its a conversation starter and every time I get out to open it up and set up camp I do so with a big grin on my face. There is some sticker shock and price to pay for this luxury, but it does come with the great reward of experience the majesty of the outdoors with a view above the ground that can warm the heart in ways that on ground camping can’t compete. Answer: Fast Setup, Above the ground, Durability, View are just a few benefits of rooftop tents. Question: What are good RTT tent brands? Answer: From personal experience and knowledge CVT, Tepui are strong brands however the market is growing and changing. Leave a comment below in the comment form letting us know what brand you have or are considering. Do you have an RTT? Have any feedback, comments or suggestions? We love hearing from our readers – leave a comment below and let us know what you think about these amazing rooftop tents!